Scientists get mice to produce stem cells that can help mend damaged organs. Scientists have created stem cells within the body of laboratory mice for the first time in a landmark study showing that it may be possible one day to repair damaged human organs in situ without the need for transplant operations. If the work can be transferred safely to humans it raises the possibility of generating stem cells at the site of a diseased organ , such as heart or pancreas, so that a person's own stem cells could be generated to repair any damaged tissue. "We think this opens new possibilities in regenerative medicine ... One possible advantage over other stem cell techniques is that the cells are already there in the right place with the possibility of becoming functional cells - with no need for grafts," said Manuel Serrano of the Spanish National Cancer Research Centre in Madrid. "We can now start to think about methods for inducing regeneration locally and in a transitory manner for a particular damaged tissue," said Dr Serrano , who led the study published in the journal Nature. Stem cells can be taken from early embryos or be created from ordinary skin cells by injecting them with four genetic factors that re-programme the adult cells back to their embryonic state. These stem cells are called induced pluripotent stem (iPS) cells and their discovery was awarded a Nobel prize in 2012. Dr Serrano's team carried out the genetic therapy on living mice and found that it was possible to create iPS cells within their bodies. These cells showed many of the hallmarks of being "pluripotent" - capable to developing into any of the specialised tissues of the body. However, the researchers also found that the technique caused cancer-like growths, called teratomas , to appear in some mice. This risk would have to be eliminated before any clinical trials on humans, Dr Serrano said. Chris Mason, professor of regenerative medicine at University College London, said the reprogramming of a patient's own cells within their bodies has the potential to transform their lives. "The major challenge will be tightly controlling every step in this potential approach to treating patients in order to deliver clinical benefits whilst avoiding significant complications," Professor Mason said. Ilaria Bellantuono, a stem cell researcher at the University of Sheffield, said: "This (study) is very exciting. Clearly nobody wishes to do this for therapeutic purposes because this leads to the formation of tumours called teratomas. 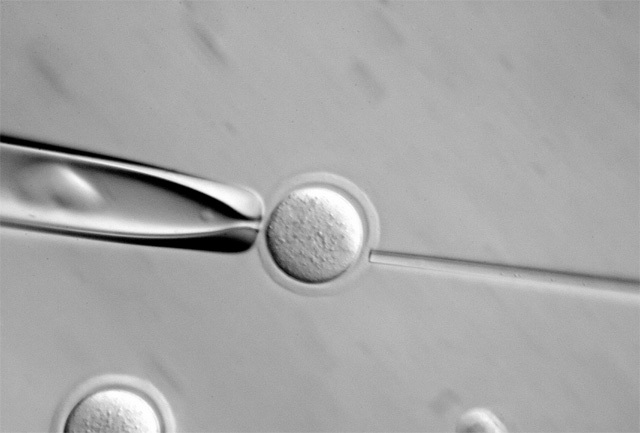 However this is a proof of concept that pluripotency can be achieved in vivo."